One of the games that caught me off-guard at PC Gamer Weekender was Rend, a hybrid survival game, featuring PvP and PvE combat. 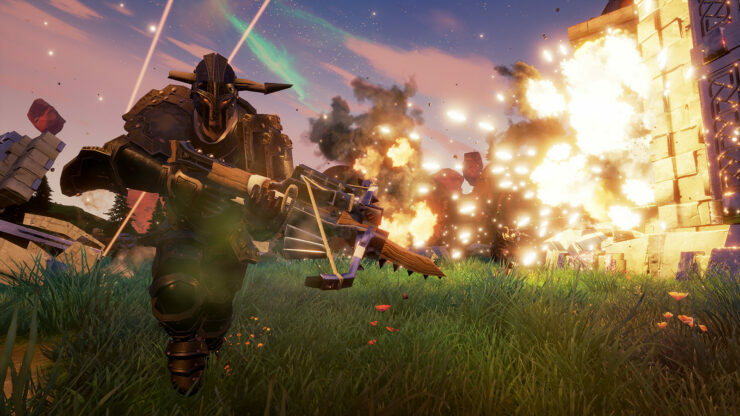 Created by a group of developers who had a hand in creating World of Warcraft back in its Vanilla days, Rend brings faction-based gameplay to survival games, encouraging players to understand the necessities of community and teamwork while attempting to stay alive. Upon entering the world, you’ll have to decide which of the three factions you’d like to join; Revenant, Order or Conclave. Each of these already has a reputation, with Revenant known for their sly and cunning personalities, Order renowned for their brutality and pride, and Conclave respected for their mystic intelligence. Your faction base will serve as your home and safe haven as you learn new skills and do your best to strengthen it as much as possible. However, once a week (at a predetermined time), you will have to participate in The Reckoning – a period when the magical shields on each of the faction bases will power down for three hours, leaving factions to defend their bases, and attack the others. A huge tree at the center of the map will keep score as the factions battle it out until eventually one of the teams fills their bar to the top and resets the server. After a winning faction has been decided, players will receive meta-progression points as a reward. These points can then be spent in subsequent servers on character customization and progression options. Each faction is fitted with a Research Table, which, as you may have guessed, enables players to research items, weapons and more. For example, if you were to steal a weapon from an enemy and examine it at the table, you’d gain some XP along with some knowledge on it. During the Reckoning, breaking into another base and stealing their research is also perfectly viable. While on the subject of progression, it’s worth mentioning that Rend has four classes, of which players will be able to choose two. These classes will effectively summarise how you contribute to your base. The Survival role will rely on hunting and gathering, whereas the Soldier role focuses more on being aggressive. If neither of these sounds up your alley, you can also opt for Assassin, for stealthy players, or Mystic – a class with magical abilities. You’ll also be constantly working to upgrade your adventuring, crafting and combat skills as your team strives to build a better base. It’s also worth bearing in mind that while at the base, you can either build or lose reputation, so if you choose to play as a true team member or even leader, your hard work will be recognized. However, there is no direct path for players to follow and Frostkeep are encouraging players to play however they want to. As I’ve already mentioned, groups will be able to join public servers together, but private, password-protected servers will also be available. Private servers will have their own rule sets and should have mod support, so there’s something for everyone. As time goes on, Frostkeep will also be looking to add additional custom server options along with other improvements requested by the community. Similarly to the Nether in Minecraft, Rend will have an area called the Eternal Wastelands, a region filled with powerful artifacts and creatures. Players will be able to craft keys in order to access the area and fight the boss that resides there. If successful, the team will then be free to loot the tomb and take the rumored ‘OP items’ back to their base for further research and application. However, these items can easily be stolen by members from other factions. Despite not having any plans for DLC just yet, Frostkeep Studios have stated that they have “big ideas for expansions”. 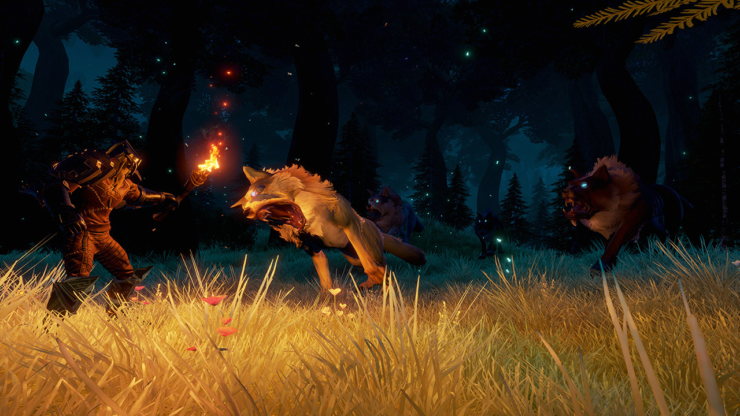 In addition, they are looking into porting Rend to consoles eventually, following its Steam release this year. Thanks to Unreal Engine 4, you’ll also be glad to hear that players will be able to run Rend on low-end PCs, so you won’t need an absolute beast of a PC in order to appreciate those mysterious environments. Rend is one of the next games you should be keeping an eye on. As if the playable build at the event wasn’t enough, the sheer volume of people, particularly children, crowding around the booth was enough proof that this game could be something special when it releases. The Minecraft-era of gamers is maturing and Rend already seems to be securing that market by introducing a combination of building, teamwork and RPG-style progression. Of course, this isn’t just a game for children, and it certainly has all the aspects that would appeal to adults too, whether you’re interested in jumping in as a team or playing solo. 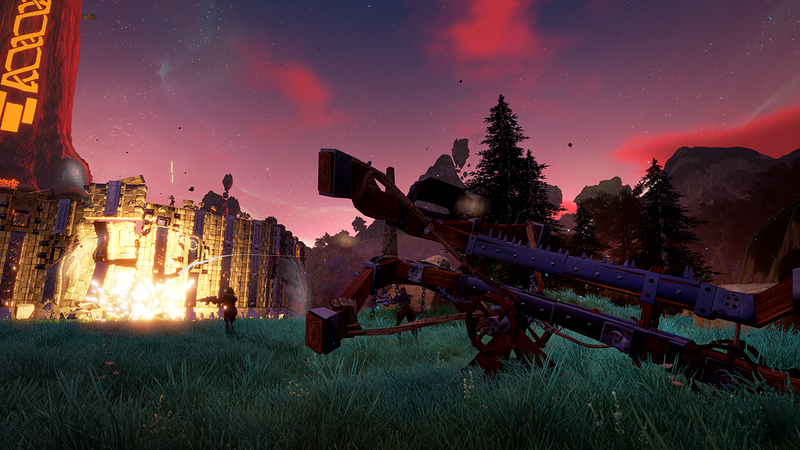 Rend has a lot to offer and I’m looking forward to seeing more of it in its Alpha in late Spring and release at some point this year. Meanwhile, you can wishlist the game on Steam.